Find all your camping and hiking needs here. 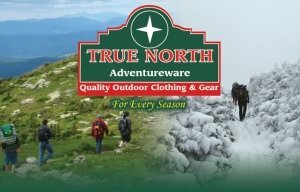 We have backpacks, book bags, tents, sleeping bags, stoves, socks, ski gloves, slippers, Dansko shoes, sandals, flip flops, Merrell, Teva, Hi-Tec Salomon, Mountain Hardwear, Columbia, The North Face, and much more. One mile south of Bethel Village on Route 26 (Walkers Mills Road). Top of the hill on the left. If you reach the High School you have gone too far.